Milwaukee Native Adija Smith will Show off Her Baking Skills on Food Network Dec. 3 — Carvd N Stone Inc. Sometimes all it takes is to have someone in your life who believes in your potential more than you, when you’re having self-doubt. Those type of people you cherish because they could be the inspiration that helps you move your career into the next level. Adija Smith, owner of Confectionately Yours by GGG (formally Greer's Gourmet Goodies) was contacted by a close friend about a Food Network opportunity. Smith didn’t think she was ready for such a big platform like Food Network, but after consistent convincing and advice from her friend, Smith created a video and began the process for the casting call. For multiple reasons, Smith was nervous that she wouldn’t get a callback, but an hour after submitting the application she received a call from California. A producer from the network called to let her know that Food Network was interested. Smith then answered a series of questions and was told to wait for a follow-up call. It only took two to three days for a callback, but the wait felt like years to Smith. But, she was then told on that second phone call that the producers loved her and her work so much that her next step would be a Skype interview with one of the producers. Although the interview went well, it wasn’t up to that producer to pick whether Smith would be selected to be on Food Network or not. Days went by and she heard nothing. It wasn’t until Smith received an email from the network stating her next step in the process that she begin to calm her nerves. The email said she had to do yet another Skype interview, but this time with three producers. 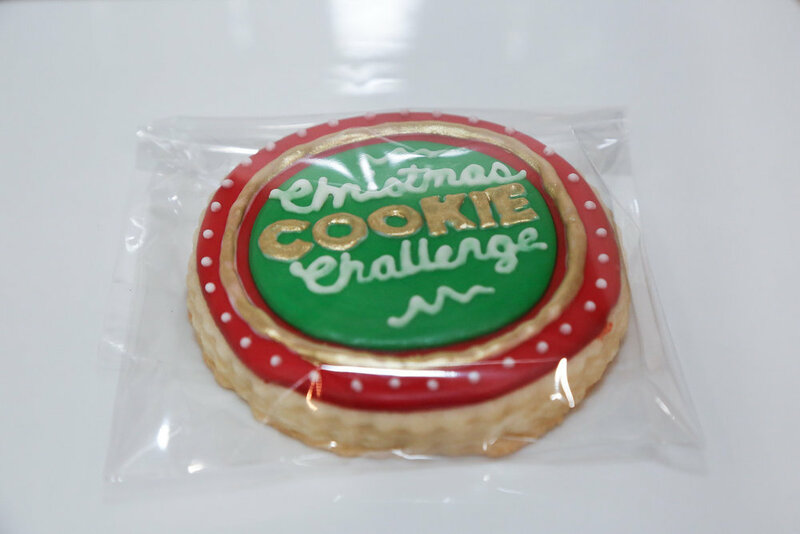 She was told to do a cookie challenge, Christmas themed. And to have those cookies available during the interview. According to Smith, she made two cookies. The first was a 3D cookie that was a tea cup with a saucer and came with a chocolate spoon. The second cookie was a chimney with a fireplace that had stockings with her children’s names on each. During the interview, Smith said she was “being completely organic,” but wasn’t receiving engagement from the producers. But, she kept a smile on her face and let her personality shine through. Before the interview Smith did some research on wild, bizzare and nontraditional cookies. In her search, she found a cookie called a “sausage cookie,” which is made from a biscuit, contains sausage and is topped with cheese. And one of the producers just so happened to ask Smith what type of cookie would she make with cheddar cheese. Long story short, she amazed the producers and taught them something new. Smith eventually received that final phone call saying she was selected to be on Food Network for one of their Christmas episodes. She was then flown out to LA to film for the show. Smith thought a city-town girl from Milwaukee wouldn’t get noticed, yet alone picked for such an opportunity, and not only did she prove herself wrong, but she’s showing Milwaukeeans they can do it too. Smith’s episode will air on Food Network Dec. 3 12/3/2018. 10/9 CST.